Safelincs has entered into an agreement with the Child Accident Prevention Trust (CAPT) to help it promote Carbon Monoxide awareness. CAPT is the UK’s leading charity working to reduce the number of children and young people killed, disabled or seriously injured in accidents. 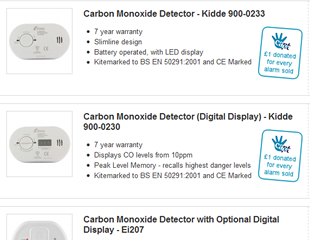 Two of the carbon monoxide alarms supplied by Safelincs will have £1 donated to CAPT for each sale. Safelincs involvement with CAPT comes at a time when the charity is developing a DVD for parents, carers and other interested parties, focusing on the dangers of all types of poisoning. 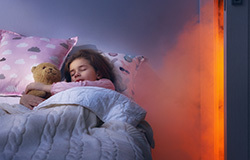 Safelincs is working with the charity to help ensure that CO poisoning is particularly highlighted and will help promote the DVD and other materials when they become available. To help promote these important messages we have also created an information portal about carbon monoxide poisoning.